We have fun on Cinco de Mayo around here. 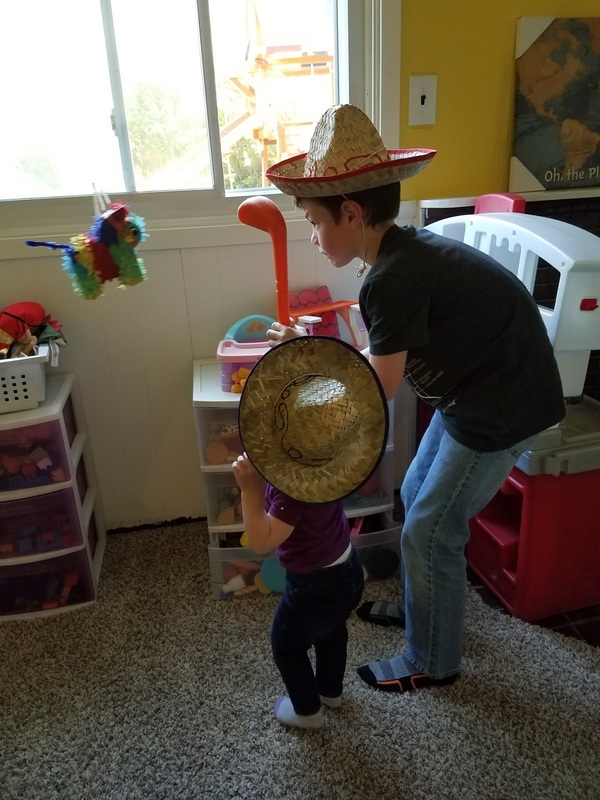 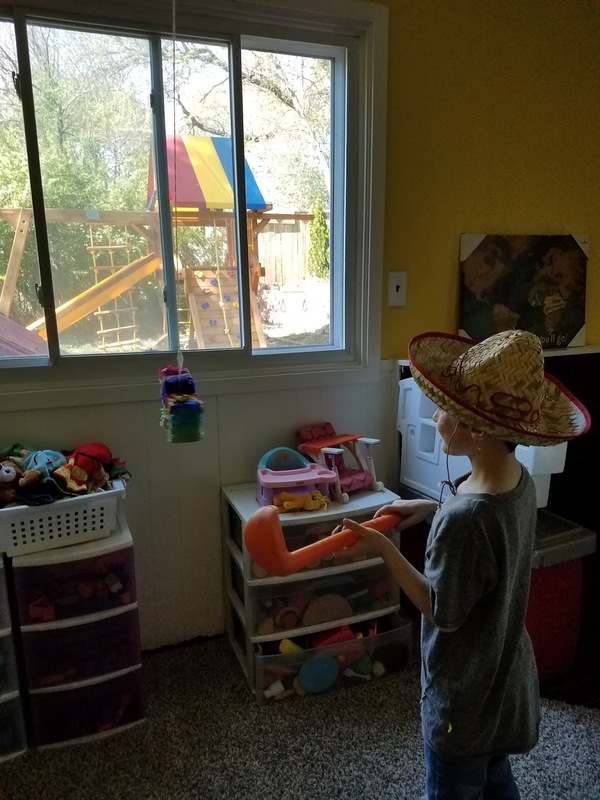 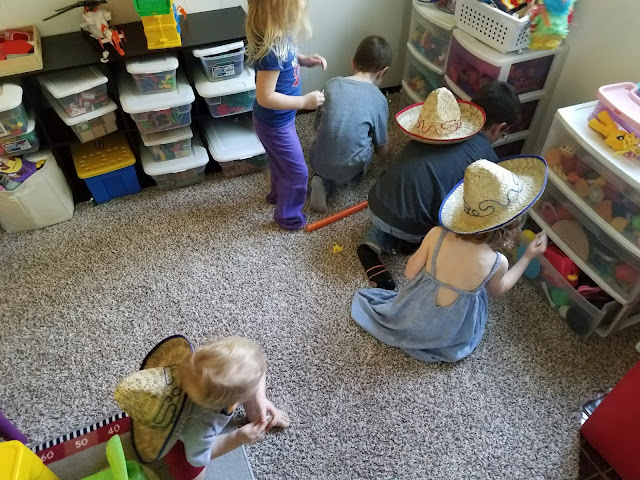 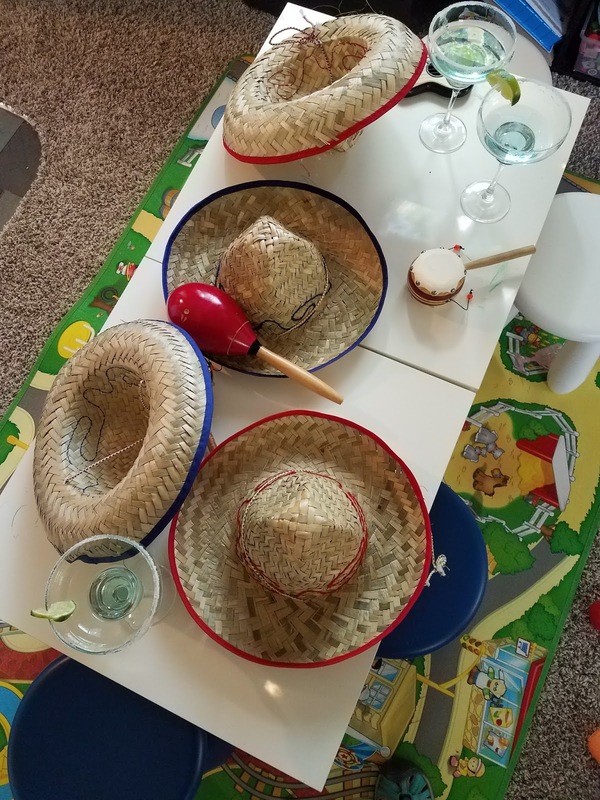 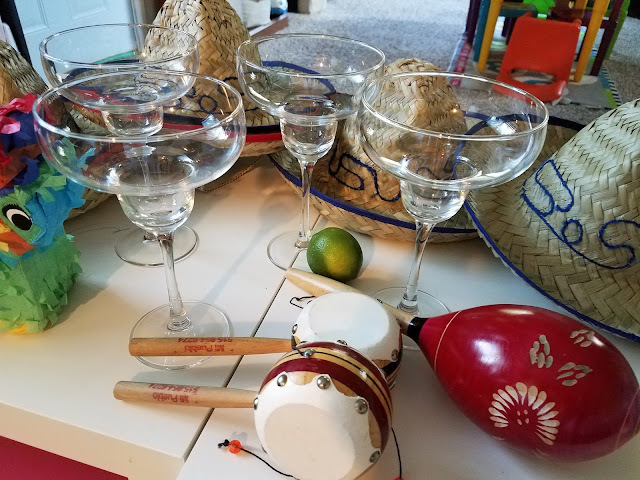 As usual, we broke out maracas (and other instruments) and played our own mariachi music (that didn't sound anything like a mariachi band), had margaritas (non-alcoholic for the kids, regular margaritas for me after daycare ended) with chips, salsa, and guacamole, had a chicken taco bar for lunch, and did a mini pinata filled with Hershey's kisses. 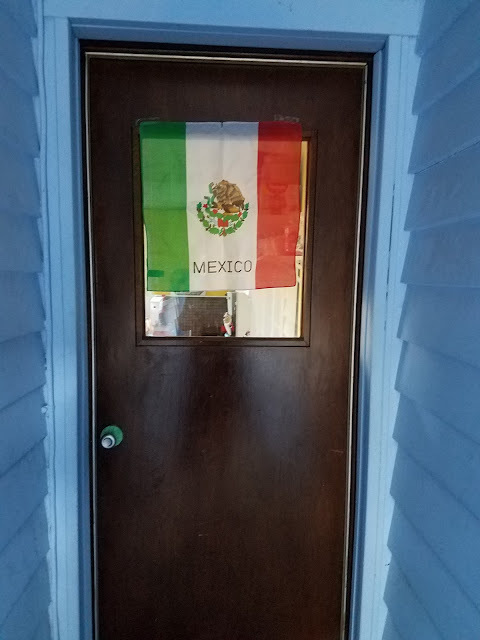 The Mexican flag greeted kids in the morning. 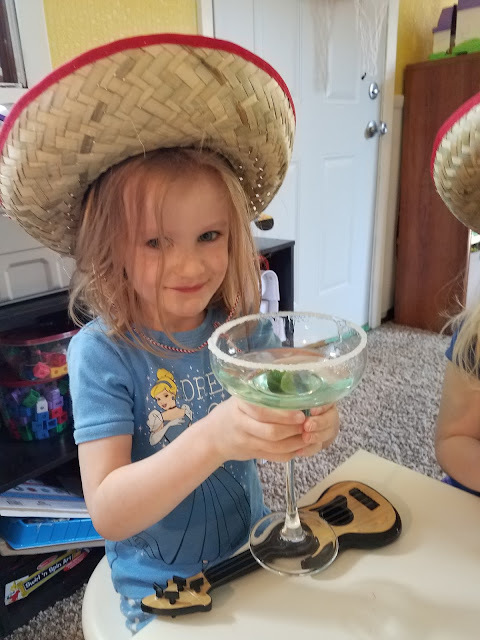 The kids got to use "real break-y glasses" for their drinks. 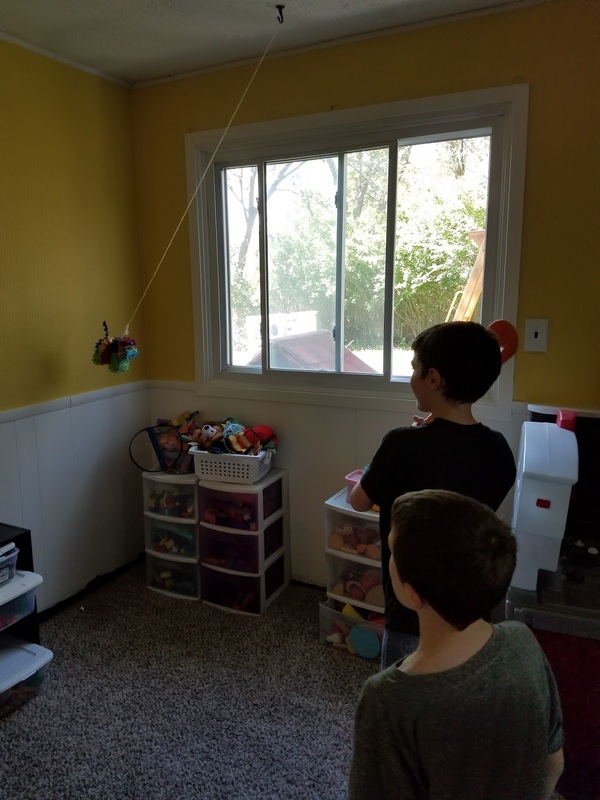 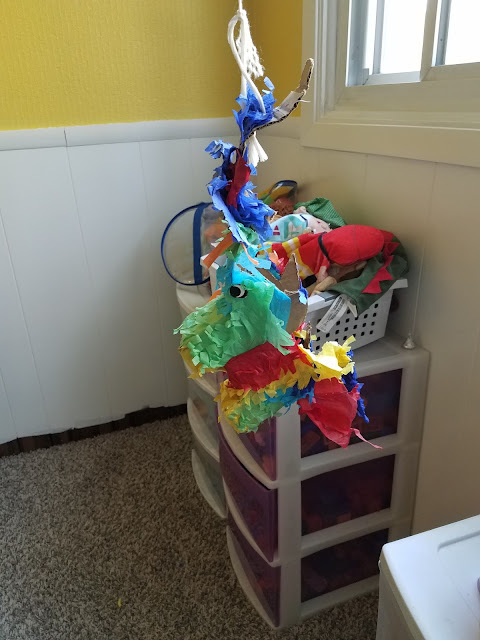 We waited to do the pinata until after school so the boys could do it too (they insisted). They even helped the little one hitting the pinata. 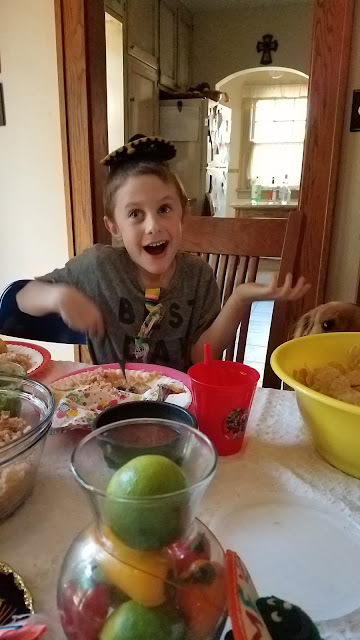 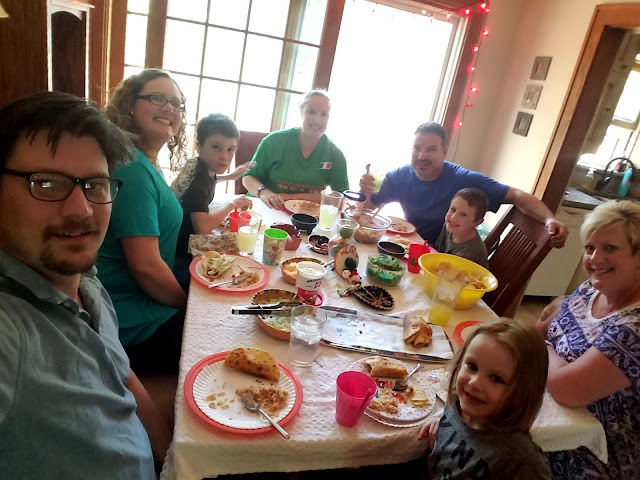 And the party continued Friday night with homemade tacos! 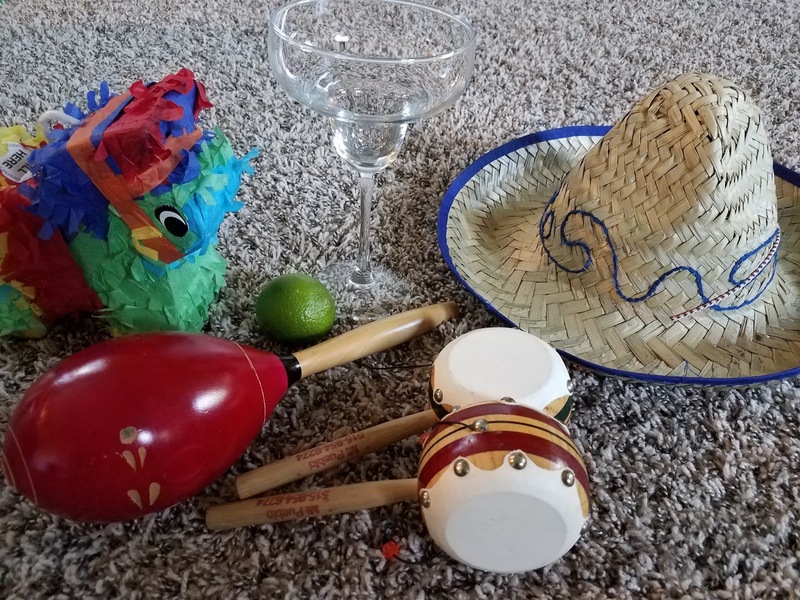 If you're looking for a good book to explain Cinco de Mayo to kids, we love this book.